This listing includes 2 Kayaks at a significant discount. Do you love fishing from a kayak or boat? 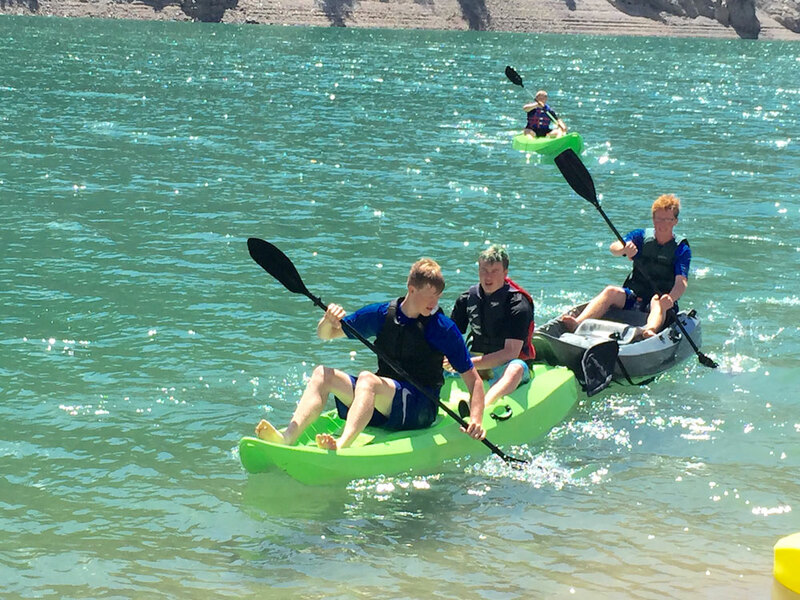 The 90121 allows three people to kayak, fish, swim or just enjoy nature. This Elite kayak isn't your typical fishing kayak. 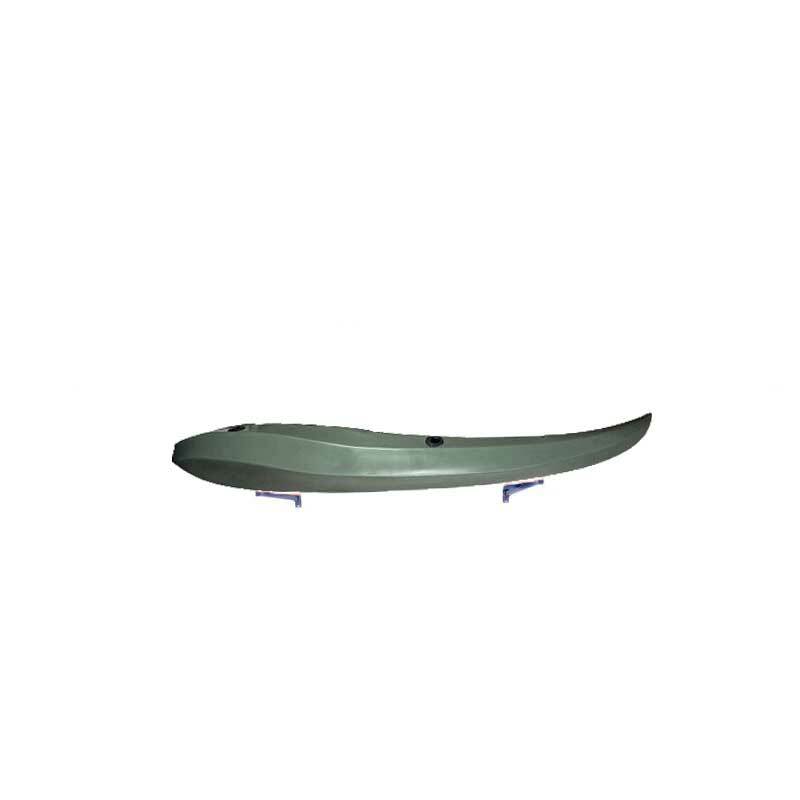 This boat is very difficult to tip and handles well in river and reservoir waters. Two paddles are included to navigate and the dual hulls underneath help you tread water straight and quickly. This product comes with a 5-year limited warranty from the manufacturer, Lifetime Products. Each kayak includes 2 double-bladed paddles, ditty trays, shock cord straps for storing gear, and a rear storage hatch. For seating, the 90121 includes 2 padded backrests per kayak. 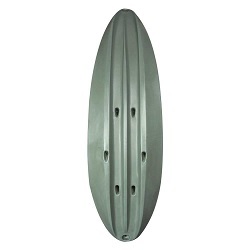 The sides of the kayak of paddle cradles for easy paddle storage while fishing or when putting the kayak away. 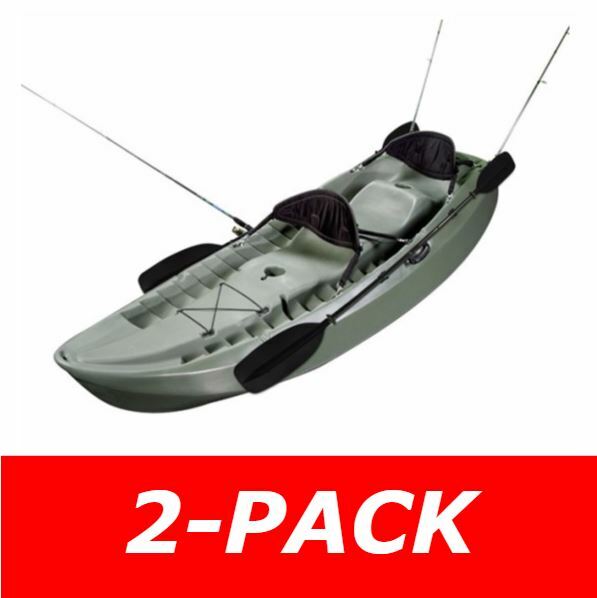 Includes 3 fishing pole holders per kayak. Each kayak includes a unique identification number usually on the back of the kayak. Each kayak includes a manufacturer certificate of origin. Hull material of constructions: high-density polyethylene plastic. Each Kayak seats up to 3 people. Scupper holes allow for easy water drainage. 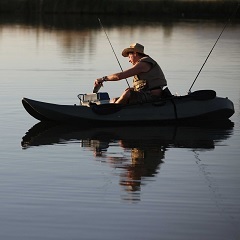 Each Kayak includes 3 Fishing Pole Holders. Multiple Footrest Positions for Different Sized Riders. 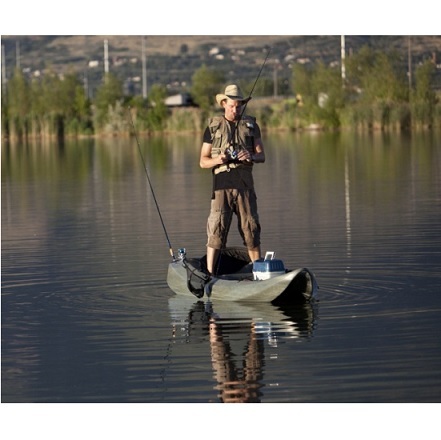 Each Kayak comes with 2 double-bladed paddles and 2 padded backrests. Kayak dimensions: 120 inches (10 ft) L x 36 inches W x about 20 inches H.
Kayak weight: about 60 lbs. Great All Around Kayak! Very Stable And Tough! I recently purchased the 2 pack of kayaks from this website. I had done a lot of research prior to purchasing these products. There were a couple of minor issues with the tracking info given to me being wrong, but customer service was very good to correct. The products are as advertised. Very stable and great for general use and fishing from. Good for kids and adults too. Very satisfied with my kayaks and the website; would recommend both anytime. Q: What is the KSL Utah pick up price for the 2 pack? Q: IS THIS REALLY 2 KAYAKS FOR THE PRICE? WHAT IS THE 2 PACK STAND FOR? 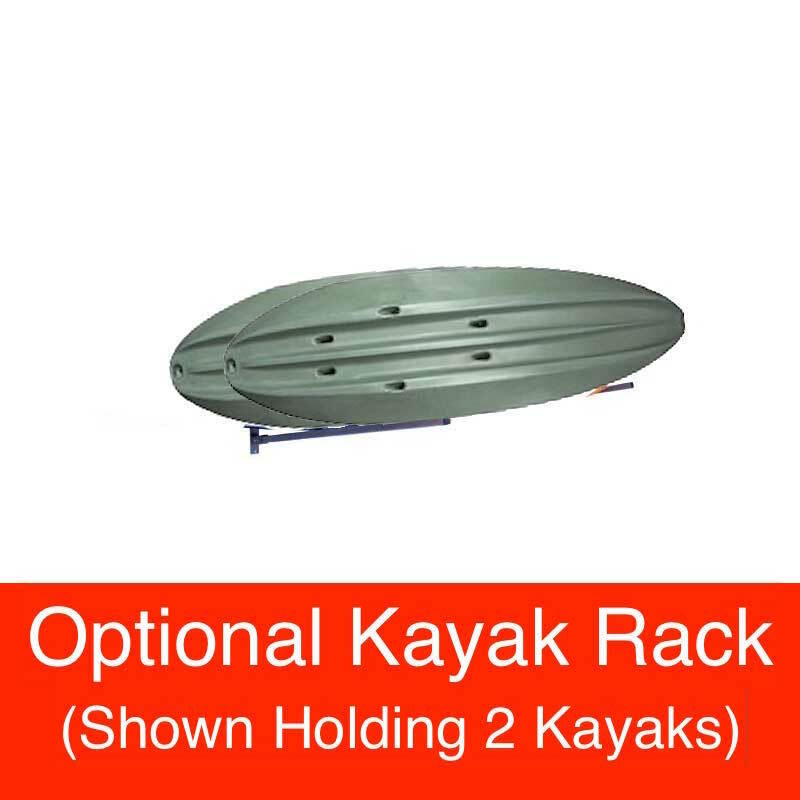 A: Yes, that is the pricing for quantity 2 kayaks. Q: The amazon order screen for the 2 pack kayaks doesn't specify the sport fishing kayaks. Which order selection should I chose? A: Please call us at 801-732-0601 for assistance. A: The manufacturer recommends not exceeding 500 pounds on this kayak. Q: Can just 1 person use this? Instead of 2? 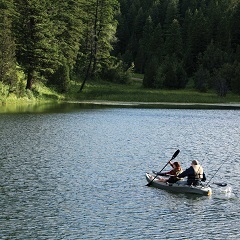 A: Yes, this is a tandem kayak, so 1 or 2 people can use it. Q: Do you have a rack that we could store this on? A: Yes, it is the Monkey Bar Storage 07001 which I have now added as an add-on item for this product at a discount. This product generally leaves the warehouse within 2 business days of ordering. This product ships from Clearfield, Utah. Transit times are typically 3 to 6 business days depending on proximity to the warehouse. 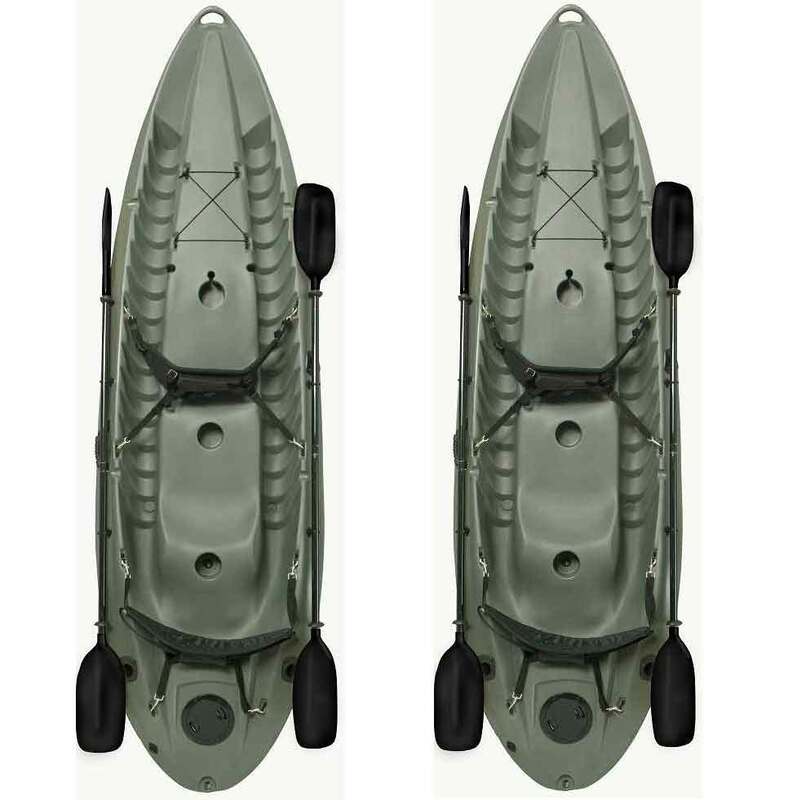 The 90121 Lifetime fishing kayak 2-pack ships via an ltl carrier for a curbside delivery. This type of delivery requires the customer to be present at the time of delivery to sign for the delivery and to move the product wherever needed on the delivery property. The driver will not assist with moving the kayak on the property, so please plan accordingly for sufficient help to be present at the time of delivery. Delivery appointments are scheduled by the freight company before delivery is attempted at residential addresses. Once the customer has the tracking number for their shipment, the customer can also contact the freight company themselves to schedule the delivery appointment. Shipping weight: about 65 lbs. Shipping dimensions: 120 inches L x 36 inches W x 19 inches H.